Denturists specialize and study the clinical and technical aspects of removable dentures longer than any other oral health-care practitioner. Anyone can consult a Denturist without a referral from another health-care professional. Denturists provide the most cost and time effective denture treatment. Our laboratory work is performed on our premises by us. All work is done custom just for you. This ensures quality of care is consistent and personal. Your Denturist’s expertise and professionalism make him or her the best possible choice to help you derive the maximum benefit from the most advanced denture technology. Most Denturists’ fees are covered by dental plans, Veterans Affairs, Social Services, NIHB, and other private insurance companies. If you have a dental plan, ask your Denturist to assist you in determining what specific services are covered. If you do not have a family dentist or need a referral to an oral surgeon, your Denturist will be happy to refer you to the appropriate practitioner. 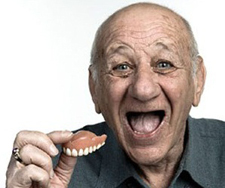 If your dentures are more than five years old, make an appointment to talk with your Denturist. You can improve your looks, self-confidence and possibly your health with quality replacement dentures.